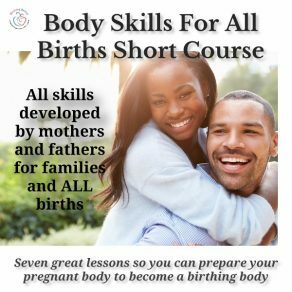 WHAT: This course equips you with the skills needed to overcome common challenges of pregnancy and childbirth, including managing pain, improving communication with your birthing partner and ensuring that you both feel skilled as your birth unfolds. WHY: A good birth experience is the main focus of learning and using the skills in this course. It’s not always easy and you may feel anxious, terrified, excited, uncertain or confident, but with the correct skills you can safeguard both you and your baby’s health and wellbeing as well as cope and stay in control. All the skills were developed equally by fathers and mothers so you and your “other” will share a common set of skills for your different but equal tasks. You will do the ‘activity’ of birthing your baby. Your other will help you cope and manage throughout that activity. Split each lesson up over a few days. Spend about 20 minutes each time. LESSON 1 … Read and listen to your role and your partner/other’s job no matter how your birth unfolds. We explore why birth is the ultimate activity and why skills will lead you to a positive birth experience. 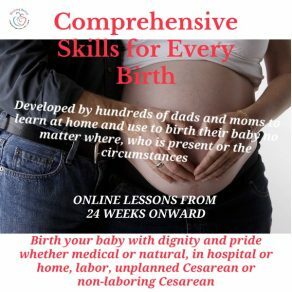 LESSON 2 … Read how Birthing Better families used these skills in every type of birth no matter where you birth. 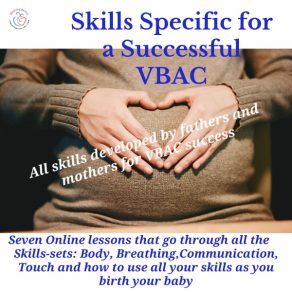 LESSON 3… What are the three roles in birth and how Birthing Better skills work in two out of the three roles? Be guided to create two Birth Plans so you’re clear about what you want and what skills you’ll use. Finally, you’ll get a specific list of the best birthing behaviors you can strive for and the ones that indicate you need your partner help you manage better … a great cheat sheet to use at birth. 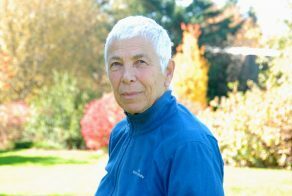 LESSON 4 … Relaxation and 4 types of tension deeply explored and how to couple the best birthing behaviours as you reduce tension and increase internal relaxation where it counts. LESSON 5 … Fear of birth is normal. Fear of labor pain is also normal. With skills you’ll cope even if you have fear. Learn the tricks to deal with pain. More important, learn why you experience pain during birth. Knowledge is power. LESSON 6 … Prevent trauma to your baby’s birth passage. Learn the Internal Work from 32 weeks onward. Spend 5 minutes/day. One of the most powerful Birthing Better skills. Learn to ‘check’ yourself so you ‘know where you are’ throughout labor. No more guessing or confusion.